Please contact the owner directly @ Home: (586) Four Six Eight - Two Five Four Seven Cell: (586) Eight Five Four - Eight One Nine Nine or ryanredd15 (at)hotmail(dot)com....HUGE REDUCTION TO SELL NOW!!! 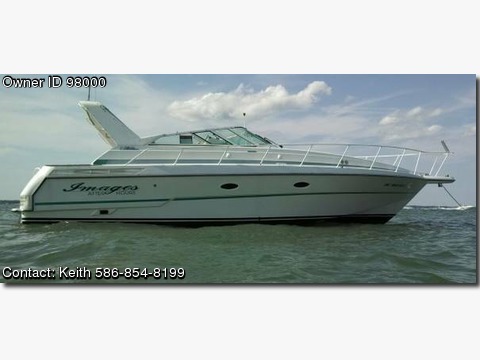 This is a very nice boat for sale that runs well. I installed a Brand New Canvas this spring (2014). The boat was primarily used for years with the green cover and the bimini top was installed. You can see the green cover in the one picture. Please contact me to discuss the boat so I may answer any questions you may have as well as to make arrangements for you to see it. It is located at Belle Maer Harbour Marina in Harrison Township. The well is included for the remainder of the season as well as winter storage. This is a great boat for the price. I have enjoyed it for many years and it is time for me to get out of boating. (CURRENT OWNER OF 18 YEARS) NICELY EQUIPPED. THIS 1992 TROJAN 10.8 METER INTERNATIONAL OFFERS AN EXCELLENT PLATFORM FOR CRUISING / OVERNIGHTING -- PLEASE SEE FULL SPECS FOR COMPLETE LISTING DETAILS. Freshwater / Great Lakes boat since new. This vessel features Twin Crusader 454-cid 350-hp Gas Engines with only 743 original hours. Notable features include but are not limited to the following: Air-Conditioning & Heat, Head (Vacuflush) w/Vanity/Sink/Stall-Shower, Central Vacuum System, Windlass Anchor w/Foot Pedal Controls, Onan Generator (requires service), Cockpit Wet Bar w/Sink/Refrigerator, Snap-in Snap-out Cockpit Carpeting, and MUCH more! The PowerBoat Guide had this to say: Contemporary express (called Trojan 370 Express in 1993 to 1994; 390 Express in 1995 to 1997 400 Express in 1998 to 2002) offered comfort, performance. Generic mid-cabin interior features large galley, head with stall shower, good-sized bow stateroom with private head access. Aft deck lifts electrically for access to large engine compartment. Update in 1998 added extended swim platform.Please call or emeail for complete specs.